AMD launched its Nvidia RTX competitor, the Radeon VII, earlier this month. This is a beast of a GPU and is the first in the world to use a 7nm fabrication processor. What that means is that the Radeon VII is not just very powerful, but it is also quite efficient. The GPU has now been launched worldwide and in India. It is also available for purchase immediately. 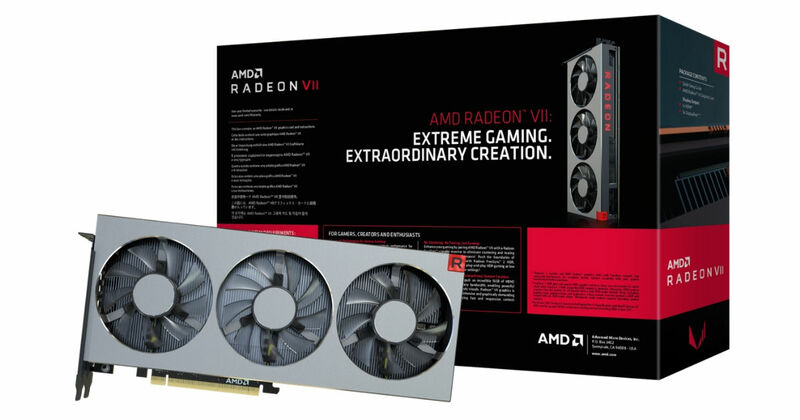 The AMD Radeon VII GPU has been priced at Rs 54,990 in India. The international pricing is $699, so yes, the graphics card is priced a little higher in the country. The card should be available at both offline and online stores in India very soon. If you buy the card, you will get three games for free: The Division 2, Resident Evil 2, and Devil May Cry 5. The Radeon VII graphics card is built on the second-gen Vega architecture and gets double the memory and 2.1 times the memory bandwidth. This GPU is not just for gamers but also for creative professionals too. According to AMD, the performance on this card is 29 percent higher than a Radeon Vega 64. It can perform exceptionally and provide high frame rates in 4K, ultra-wide 1440p, and 1080p resolutions with HDR support. The card has a total of 60 compute units, 3,840 stream processors, and a maximum clock speed of 1,750MHz. AMD has equipped it with a whopping 16GB of memory so you can play all your games at max settings in 4K resolution without any worry of dropping frame-rates. You can also expect improved DirectX 12 and Vulkan performance, with AMD claiming a 35 percent improvement in Battlefield V and 42 percent in Strange Brigade when compared to the Radeon Vega 64. The high-bandwidth memory also promises superb performance while editing and rendering 4K/ 8K videos in applications such as Adobe Premiere. The GPU has a rated power consumption of 300W. It supports AMD software such as FreeSync 2, which provides 2 times more brightness and colour when compared to sRGB. Over 550 displays support this technology, which is a good thing.